This article is from the 1999 May issue of MXA. 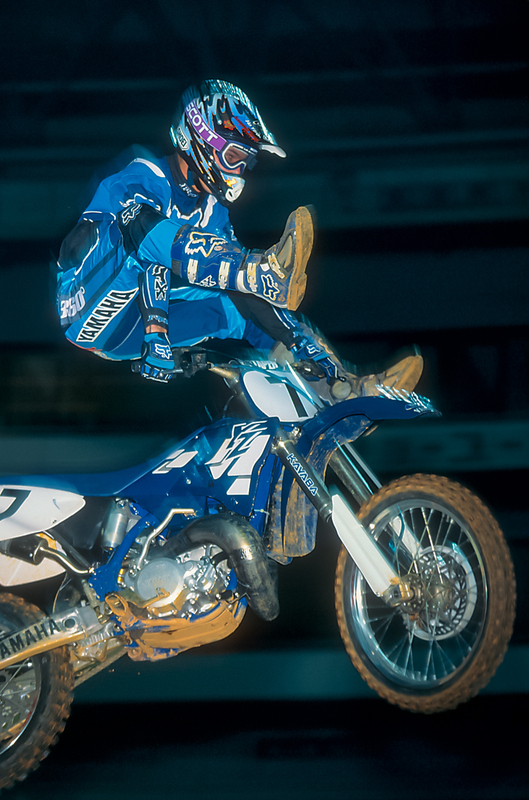 On June 9, 1998 Kevin Windham verbally agreed to a two-year deal with Team Yamaha, but while he was waiting for his formal Yamaha contract to arrive (it took two months for some reason), he had a run-in with Yamaha team manager Keith McCarty (reportedly over his girlfriend’s presence in the semi-truck). After the argument, Kevin decided that he couldn’t ride for McCarty and on August 16, 1998, signed a two-year contract with Team Honda. Yamaha was stunned. They felt betrayed. To recoup the cost of producing glossy, multi-page ad campaigns (featuring Windham), Yamaha filed suit on November 10, 1998 for Breach of Contract. Kevin on a Factory Yamaha YZ250. The matter is now proceeding through the courts at a snail’s pace. In the mean time, Kevin is free to race for Team Honda (Yamaha does not want him back), but must worry about the legal fees and possible monetary damages that Yamaha is seeking.